Forget Brian Eno, Lou Reed and Iggy Pop. 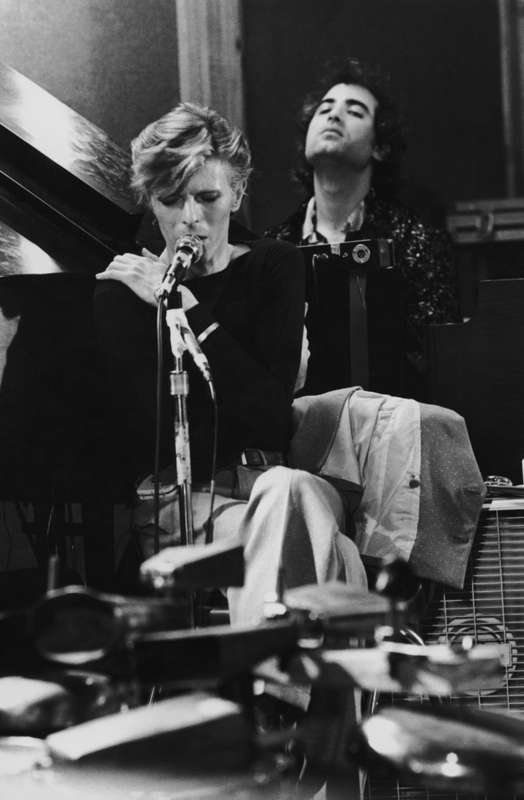 One of David Bowie’s most consistent and important collaborators has been his stalwart keyboardist, Mike Garson. Ever since Bowie’s 1972 tour as Ziggy Stardust, down to his final live performance in 2006, baring a few key albums, Garson has been there, adding a distinct flavor to many of Bowie’s songs. 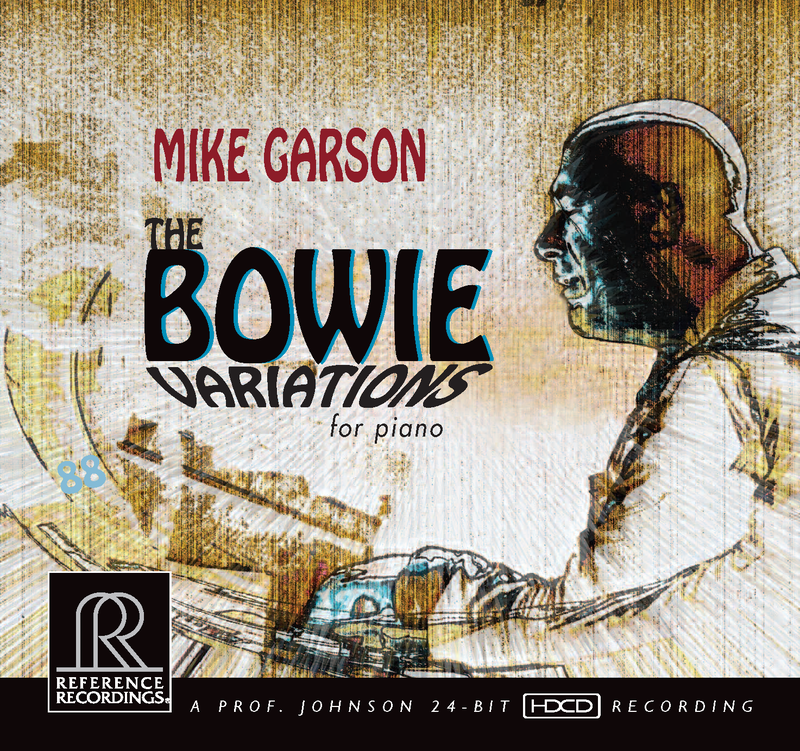 With his abstract, angular improvisations, Garson has helped define the sound of such iconic Bowie tracks going as far back as 1973’s frantic, glitter avalanche that was “Aladdin Sane (1913- 1939- 197? 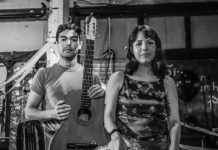 )” to as recent as the spare, atmospheric jazz-inspired number “Bring Me the Disco King,” off Bowie’s last album, 2oo3’s Reality (Support the Independent Ethos, purchase on Amazon). Ever since he abruptly halted a world tour in support of Reality, in 2004, Bowie quietly sidestepped the spotlight. The catalyst of this slowdown happened on stage in Germany after he complained of pain in his arm while performing. He was soon rushed to the hospital for emergency surgery to clear a blocked artery (read the BBC article here). Bowie then gradually headed into a low-key kind of retirement following a smattering of appearances as a guest vocalist on other recording artists’ albums and a couple of one-off live performances. No full-length albums have followed nor any tours or full concerts. According to his wife, supermodel Iman, he is living the quiet life under his birth name as a family man in New York City. In a recent interview with the UK’s “Times Magazine,” she said, “I am NOT married to David Bowie … I am married to David Jones. They are two totally different people.” With Bowie no longer recording or performing, who knows if the rock star known as “David Bowie” even exists any more, slipping away through the ether of awareness like the otherworldly life form he has so often been described as. 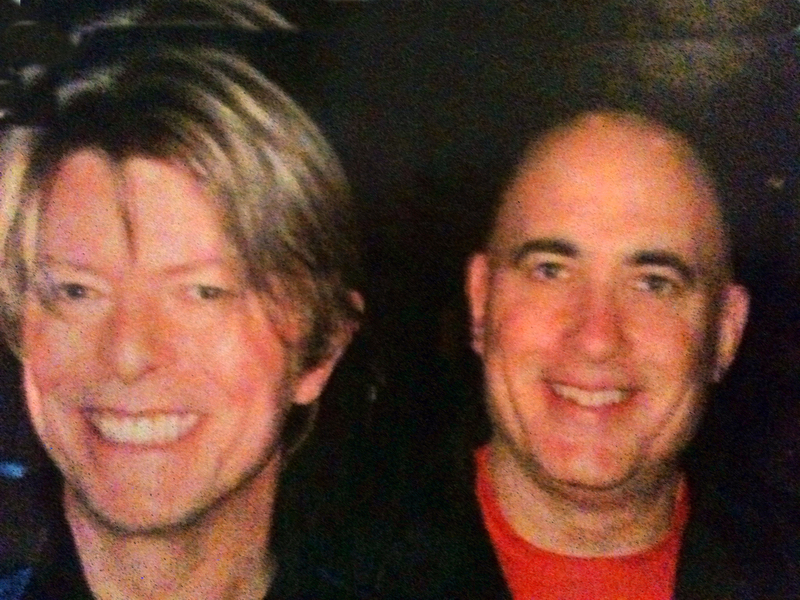 I first met Garson in 2004 after proposing a “Goldmine” cover story that would encompass his years with Bowie. The cover would be granted should I have the chance to get some exclusive quotes from Bowie. However, Bowie’s representatives, who have always supported my coverage of their client since I was writing for a university paper in my undergrad years with advance listens to albums and free tickets for shows, would only allow me to speak with Garson. He had agreed to an interview backstage at the James L. Knight Center during the Reality Tour’s stop in Miami on May 4, 2004. We had 45 minutes, but wound up chatting for close to an hour and a half. Garson had even given me an after show pass and promised to introduce me to Bowie. But, right between the opening performance by Stereophonics and Bowie’s show, a local stagehand had climbed into the light rigging without a safety harness and plunged to his death onstage. Bowie cancelled the show and any festivities following it out of respect to the deceased. 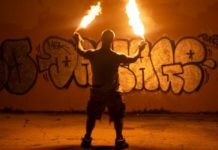 Hans Morgenstern: What label’s releasing it? 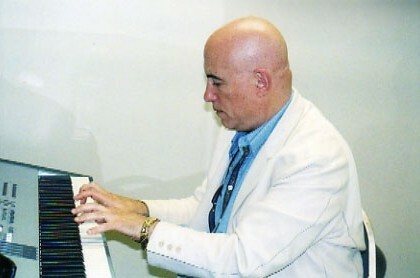 Mike Garson: It’s called Reference Recordings, and they’re an audiophile label, very high quality. They do mostly classical stuff. They’ve done a few albums for me over the years. I might have had the highest selling of all their albums, jazz and classical, in the last 25 years, an album called Serendipity that I did with Stanley Clarke on bass, Billy Mintz on drums (Support the Independent Ethos, purchase on Amazon). It was a great trio album. The release will be on the high quality HDCD format, but do they plan to release a vinyl version? They plan on it, they’re looking for the right people who can do vinyl. It’s become a dead art, but they do release higher [quality mp3] versions on the Internet. There’s a way to do it, but iTunes can’t provide it, but they do offer a CD-quality one and then there’s the normal mp3. Where did the idea to make such an album come from? I had been thinking about the Bowie album for a very long time, and I was thinking of doing it as a jazz treatment with a band and guitar and sax, but that didn’t feel good. I was thinking of doing covers with a lot of great singers I worked with, and that didn’t fly for me. So each time I’d let it go for months and months. 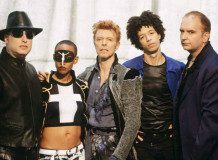 I even talked, 10 years ago, to Tony Visconti [a longtime producer of Bowie’s albums] about a concept, and he was into it, but some record company at the time, I don’t know who they were, they didn’t have the budget I was looking for, and I was not going to do it with a small budget. It had to be done right. Then, a good friend of mine who’s a journalist in France and also a singer/songwriter and has written a book on David Bowie, his name is Jérôme Soligny, he said, ‘Mike, the obvious thing is playing solo piano. Just play the music how you feel,’ and I said, ‘Jesus, why didn’t I think of something so simple?’” (laughs). Was the album recorded live? Well, the whole album is an improvised album. There’s three or four tracks that has piano overdubs, as you probably heard on “Let’s Dance’ and “‘Heroes'” and on the “Tribute to David,” there’s a delay where the same track plays about a quarter to a half second later than the first track … very subtle, and “‘Heroes'” has three pianos and “Let’s Dance” has three pianos and there’s a crazy medley that, at the very end, I add an extra hand, like a third hand … but everything was improvised, even the overdubs, so I would record them when I felt them, and it was a very interesting process. 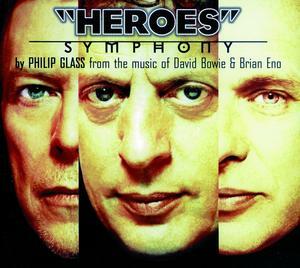 Your take on “‘Heroes'” sounds particularly layered, is there any influence there from the Philip Glass interpretation? It’s funny you would say that. There’s that one piano part that goes on and on, like minimalist … and it’s never the way I actually play. Although, I’ve written a few minimalist pieces, but nothing the way Philip draws it out slowly and builds and builds and builds. But in this particular case I was able to just keep playing it and improvising around it. I varied it. If you listen very closely they change in and out. But a lot of repetition, and I just fell in love with it. I guess if I’ve ever been influenced by Philip it would have been just in that moment in time because I know his works a little bit but nothing very deeply. I just think that growing up in that same era it would have influenced me a little. How do you think Bowie fans unfamiliar with your solo albums will react to this music? One of the most interesting pieces on the album has to be your medley of some the later period Bowie songs. On the medley, I actually use part of my solo from Earthling, on “Battle for Britain,” and I altered it and changed it. Then I did “Loneliest Guy,” which I played the accompaniment part on the Reality CD, but here I played a little melody and improvised very slow, and then on “Disco King,” I used some of the original recording material. I had some of my original MIDI files that I had of my playing mixed with some improvisations … That was the hardest work to put together cause it was the longest. It’s about seven minutes. And “Life on Mars,” the first two minutes of that, I make up my own piece, totally my own piece inspired by David’s song and then I go into the song. That one you can hear the melody pretty straight. “Space Oddity” has two versions, and they’re pretty self-evident, although the second one gets a little more adventurous. But because I’m an instrumentalist, and I’ve never focused a whole lot on lyrics, it’s very easy for me to hear it and see it that way, but a lot of people who are used to those words and his phrasing, I’m telling ‘ya, they probably wouldn’t recognize seven or eight out of the 11 songs. They just wouldn’t know it. Like “Heroes,” it was just some approximation of the bass line, and I hardly play the melody, and when I did, it was kind of tongue-in-cheek, and then I had that Philip Glass line going, and then I had all my improvisation above that. So it’s a very honest album, Hans … because that’s all I do. I’m an improvising musician. Then there is one piece that doesn’t seem to derive from any previous Bowie track, “Tribute to David.” What was your starting point for that one? Purely homage. A tribute to David. It was just my way of writing a piece for him that just came from my world, and that’s what came out. What were your thoughts when you played it? It was more the intention to write a beautiful piece that seemed to feel like him, from my viewpoint. Nothing else. The reason I know that is because it came out in one shot, in just three minutes or whatever the song is. Well, I didn’t want to do any of the ones I was known for. If there is a Volume 2 of the Bowie variations, I would do “Aladdin Sane” and “Time” and “Lady Grinning Soul” in my own way because I’m known for those. I didn’t think that was fair on the first one. 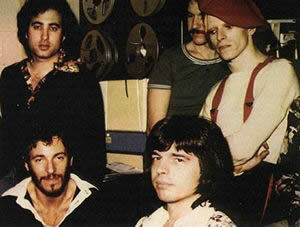 But you are interested to see what it would be like to revisit those early Aladdin Sane songs? Yeah… but … I was really being respectful to him as a songwriter. Even though they were done in my bizarre kinda way, I still respected his song. 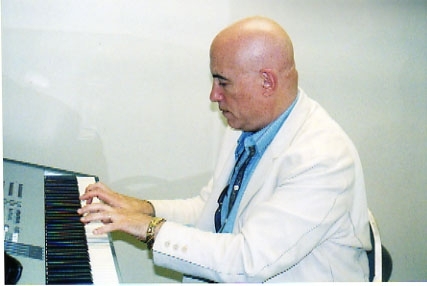 If the album is successfully received and people would like a second volume, I would do the ones I’m known for, but since it would be solo piano, I have to find a way to make them sound good without a bass and drums and guitar. That would be very challenging. What was the last thing you did with Bowie? Any plans to work together again? It was a nice conversation that, again, lasted longer than I expected and offered much insight into this original recording that seems to deconstruct music and build it back again as something altogether different. David Bowie Variations seems to compliment the découpage style of writing Bowie often employed in his lyric writing to nearly surreal effect. 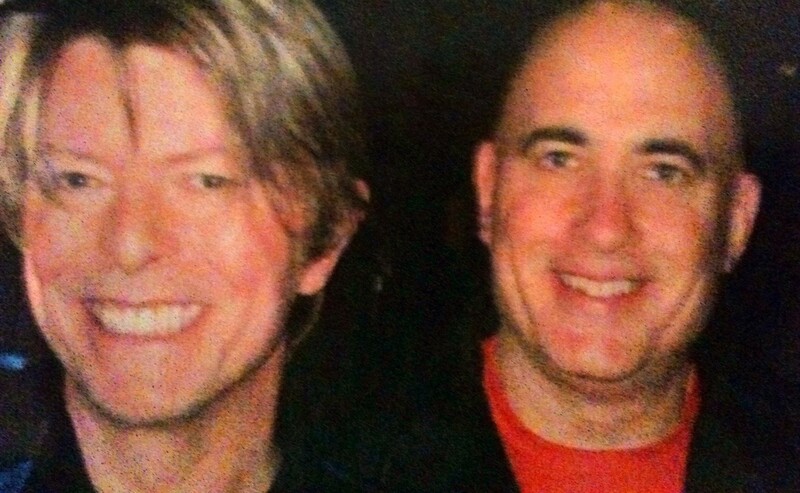 From the Archives: Mike Garson on working with David Bowie (Part 1 of 5). All parts are linked together. 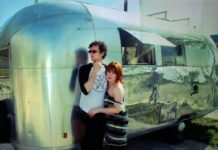 Previous articleGrand Central to host OMD and Cut/Copy, adding more notable Sept. shows in S. Fla. But you too, for your gold suggestion. Now that’s a shout out!